During February this year over 100 FOST volunteers braved the wet weather to attend a ‘Volunteer Thank You’ evening at the Theatre. As part of the Walking festival, a group of FOST volunteers will be leading a walk around Shanklin stopping at Shanklin Theatre for refreshments. As part of the FOST commitment throughout our Poppy Pin sales initiative, it was agreed to donate £1,550.00 to a designated local organisation. We are delighted to announce that The Friends of Shanklin Theatre today received the final payment from this year's Co-op Causes Initiative 2017-2018 of £5,902.46. 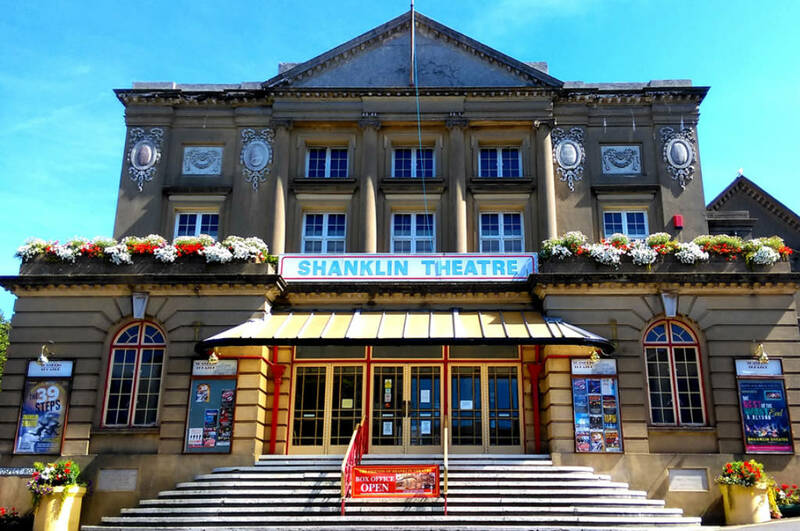 On the 2nd October 2018, Shanklin Theatre celebrated its 10th Anniversary of saving the theatre from closure and possible demolition. This milestone celebration marked a decade since a small band of dedicated volunteers saved Shanklin Theatre from closure. We are delighted to announce that Shanklin Theatre has been recognised as TripAdvisor Certificate of Excellence “Hall of Fame” winners 2018. We have commissioned these beautiful, limited edition, 10th Anniversary of saving Shanklin Theatre Poppy Pin. 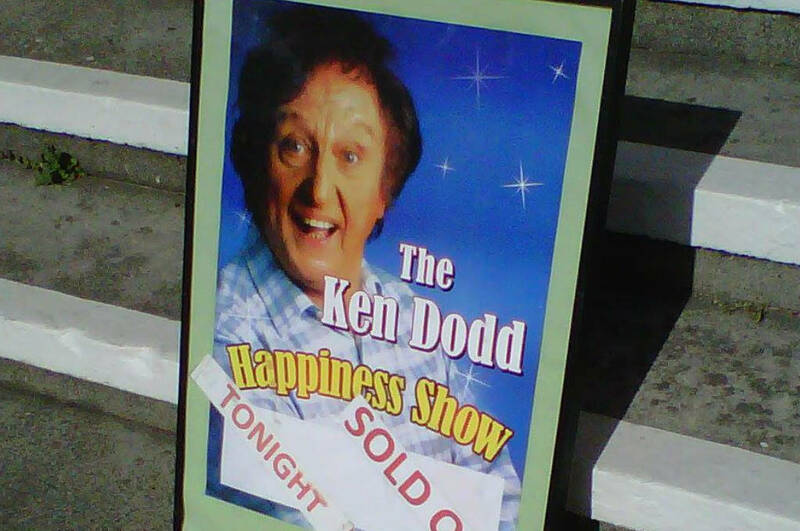 Shanklin Theatre Celebrates 10 Years of Saving the Theatre from Closure with a Special Celebration Variety Show. Do you shop on-line using Amazon? Of course you do, many people do. Would you like Amazon to donate money to Shanklin Theatre every time you make on-line purchases? When a show takes place at the Theatre, lighting effects contribute greatly to the overall experience of the show. Whether dark and sombre or bright and colourful, the lighting must be ‘programmed’ by deciding which lights come on when, and also how bright they are at any time. The Friends of Shanklin Theatre Catering team have once again been invited to provide refreshments for an NGS Open Garden, this time by FOST members David & Arielle Barratt at their luxury boutique hotel at Haven Hall in Shanklin. Many thanks to everyone that came down and supported us at the 2018 Shanklin Main Carnival on Wednesday 1st August, the Friends had a great time handing out flyers and information on all our up-coming shows and events. They also collected much needed funds that will ensure Shanklin has a Carnival for 2019! On the 21st July 2018, The Friends of Shanklin Theatre were presented with a cheque for £180.00 from the manager at the Co-op store in Landguard Road. Back in June this year, the Friends helped raise money for the Local Co-op Causes Initiative. Between the three causes over a period of seven days – Daisy Chains IW Children’s Charity – Rylstone Chalet Restoration and the Friends of Shanklin Theatre Window Restoration we managed to raise a magnificent £540.00! On the 23rd June 2018, The Friends of Shanklin Theatre helped raise money for the Local Co-op Causes Initiative at the Landguard Road store. All the money raised on the day was divided and donated to all three local causes: Daisy Chains IW Children’s Charity, Rylstone Chalet Restoration and the Friends of Shanklin Theatre to help restore and replace the listed historic windows. Click below to listen to the podcast interview with Shanklin Theatre’s newly appointed MD David Kast. David talks to Kevin Wilson about the Friends of the theatre, volunteering and the theatre in general. Fantastic news! 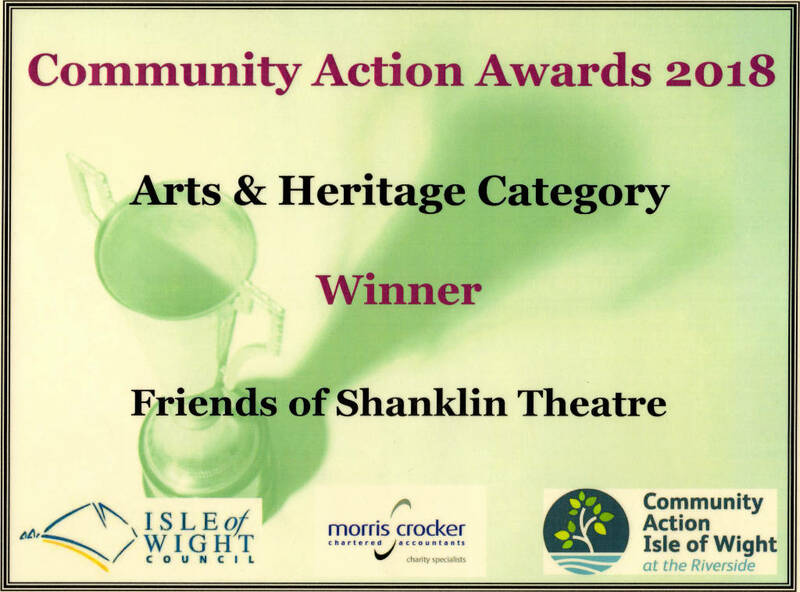 The Friends of Shanklin Theatre were selected as Winner of the Isle of Wight 2018 Community Action Awards for the Arts & Heritage category and Overall Runner-Up from over 60 nominations. Our thanks go to all our loyal, hardworking and dedicated volunteers for this achievement. 11th June 2018, Shanklin Theatre and Community Trust Secretary Anthony Wood today announced that it has received the 2018 TripAdvisor® Certificate of Excellence Award. Now in its eighth year, the achievement celebrates businesses that have earned great traveller reviews on TripAdvisor over the past year. The lucky winner is Wendy Bliss. If you intend to go to the Garden Party, please purchase your tickets before the end of this month as the hotel would like to know the number of attendees for catering purposes. A new role of volunteer co-ordinator has now been filled by Neil Hedges who is now on the FOST committee. As you know Neil’s role was mainly focussed on recruitment of new volunteers, issuing car park passes and more recently issuing ID badges. Neil will now take on all the communication relating specifically to volunteers as well as recording attendance to training sessions. The Friends of Shanklin Theatre (FOST) Chairman David Kast & Vice Chairman Beston met with the Shanklin Landguard Road Co-op branch manager Simon Thompson. Jimmy was so impressed by his meal that he Tweeted a picture of himself with the Catering Team and as he called it, ‘their Yummy Pavlova’. The ANNUAL GENERAL MEETING of the Friends of Shanklin Theatre will be held on Monday 16th April 2018 at 7.30pm. A series of shows are now eligible for FOST member discount. Purchase at the box office or via phone. Online booking not possible.